President "NO COLLUSION" has been tossing around the term "socialism" lately. Not like collusion maybe, but frequently enough. With the unflappable freshman Democrat Rep. Alexandria Ocasio-Cortez (D-N.Y., a.k.a. 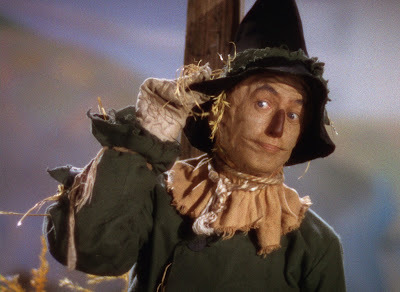 AOC) identifying as a democratic socialist as well as presidential candidate Sen. Bernie Sanders (I-Vt.), Donald Trump believes attacking this straw man will make Democrats' brand toxic in 2020. The press took Trump's bait, as it will, and asks Democrats running for president if they are "capitalists" or "socialists," as if the question is at all illuminating. I'm waiting for Democrats to reply if by making the charge Republicans are committed to eliminating "Socialist Security." Modern countries are a blend of the two systems. Capitalism may be king on Wall Street, but the traffic lights at the intersections, the roads and schools are public, as is law enforcement, Social Security, Medicare and Medicaid, and all those farm and industrial subsidies. No market fundamentalist insists true capitalists save for their own carrier strike group. People's dissatisfaction stems from the fact the country's capitalist side is no longer functioning as one. In our resurgent Gilded Age, "Checks and balances such as antitrust enforcement, regulation of major industries, progressive taxation and unions have been gutted since the 1980s," wrote in the Seattle Times. Capitalism, like our democracy, is broken. The question at hand is what to do about our slide into oligarchy. AOC's proposal for a 70 percent top tax bracket and Sen. Elizabeth Warren's for a wealth tax hark back to days when the John Birch Society tried to brand the former WWII supreme commander of Allied forces in Western Europe, President Dwight Eisenhower, a communist. The top federal tax bracket then was over 90 percent. For the last 17 years [Republicans] have called every new Democratic measure "socialism" or "communism," and they have made constant predictions of doom and disaster. The plans and proposals that we have advanced for improving the conditions of the people of this country have been greeted by these same old scare tactics during all these years. For the past 17 years, the same outcry has greeted every proposal advanced by the Democratic Party--whether it has been for better housing, social security, rural electrification, farm price supports, minimum wages, or any other program for the general welfare of the people. The Democratic Party is going right ahead to meet the needs and carry out the aspirations of the American people. Socialism is what they called public power. Socialism is their name for anything that helps all the people. What Republicans really mean, Truman said, is "Down with Progress."